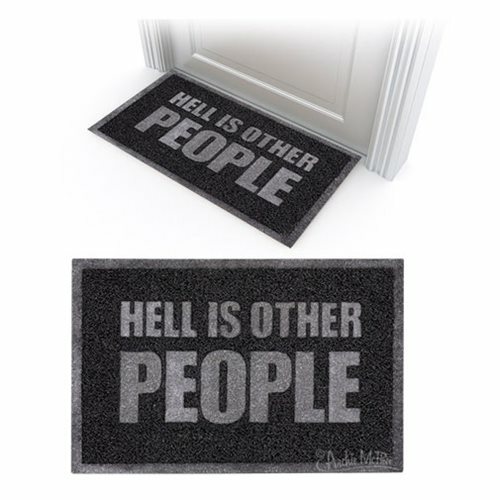 Give people a "friendly" greeting with this Hell is Other People Welcome Mat. Featuring a quote from Jean-Paul Sartre, this quote is more of an unwelcome mat than a welcome mat. Not only will this fend off pesky visitors, this mat will also keep off pesky dirt! This mat is 22 1/4-inches x 14 1/2-inches and is made of PVC.